Mediaeval Sources in Translation 56. 2013. viii, 202 pp. 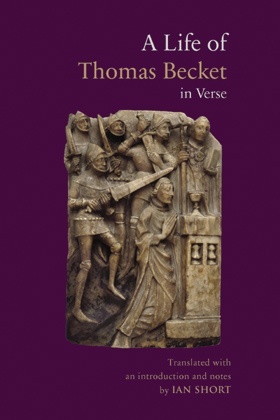 Composed in the immediate aftermath of Becket's murder in 1170, Guernes de Pont-Sainte-Maxence's 6000-line narrative poem is the earliest Life of Becket to appear in the French vernacular. It was written to be listened to by lay men and women, and provides a picture of events as they would have reached a contemporary French-speaking public avid for first-hand knowledge of their new heroic martyr.